In the past few years I really focused on my own personal confidence. Self-confidence and getting your mind in a positive state is one of the toughest hurdles that all of us athletes have to face. There are many keys and elements to success. Having confidence is most definitely one of those things that help aid in being successful. Well- I can rant and post a million different quotes about “being better than yesterday” and “Confidence is Beautiful”… I am sure I have posted 10 of those quotes in the past week. But my question is, how do we become confident? What makes you truly believe in yourself? Success isn’t really a black and white thing. Everyone defines success differently. This year I feel that I personally have lacked in the success area- based on my judo results. But then I have to step back for a few minutes and put everything in perspective and think outside of myself. Just to be able to do judo as my job is its own success. I love what I do. 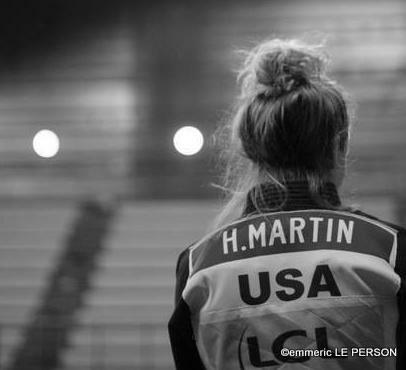 It is my passion and I get to spread that passion to others while representing the USA all around the world. Yeah, I might not have a medal around my neck after every single event. But I keep striving to do so, which makes this journey so special. Progressing towards something great. That is really what this journey is about. We are all trying to do something that is greater than ourselves. Every day I work towards that goal, with a positive mind. Staying positive has helped me through the tough times, especially through injuries and tough losses. Things always will turn out better, especially if you work for it. Judo has taught me Patience. I might not understand a certain technique, or I become frustrated with one of my training partners. But I have learned to be patient, but persistent enough to make sure that I get the job done! They say ambition is the path to success, and persistence is the vehicle you arrive in. (Bill Bradley)! I love that quote! Being a sports (wo)man has really taught me a lot! This past year has also helped me grow to become a stronger competitor. I’ve had many defeats and disappointments. But I never stopped working hard and working to be better. That is because I love what I do, and I am not going to let some of these upsets let me lose confidence in my judo. I know what I am capable of.So what is success? Tack för de orden du formade orden som de det är fokus på sin egna förmåga.